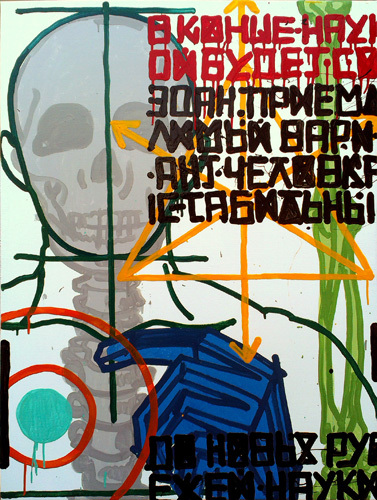 Graffiti artist and writer from Moscow, Russia, began to paint in 1997, at the dawn of the Russian street art movement. He is a still active participant of the first Moscow graffiti crew, as well as part of later projects such as - NoFutureForever, Parazit, Zachem. He has also organized street artfestivals, curated exhibitions and projects dedicated to different forms and medias of street art. 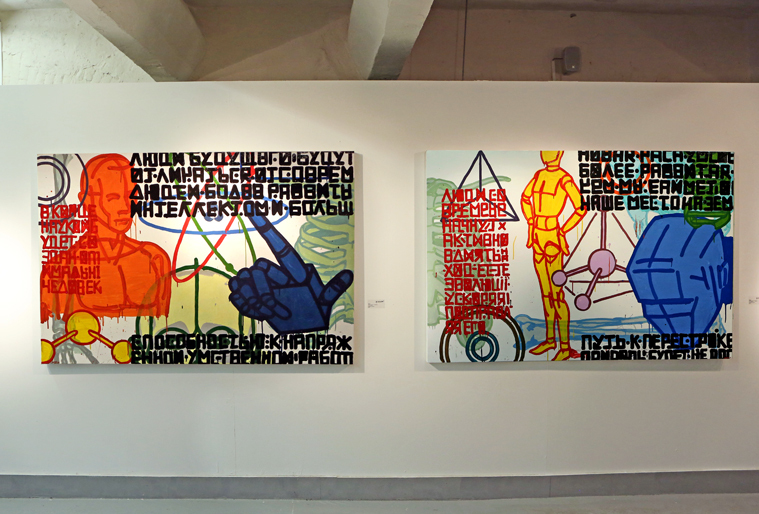 Most's works have been presented in various exhibitions of contemporary modern art in Russia, Ukraine. Azerbajan, USA, Italy, Switzerland, Germany, France . 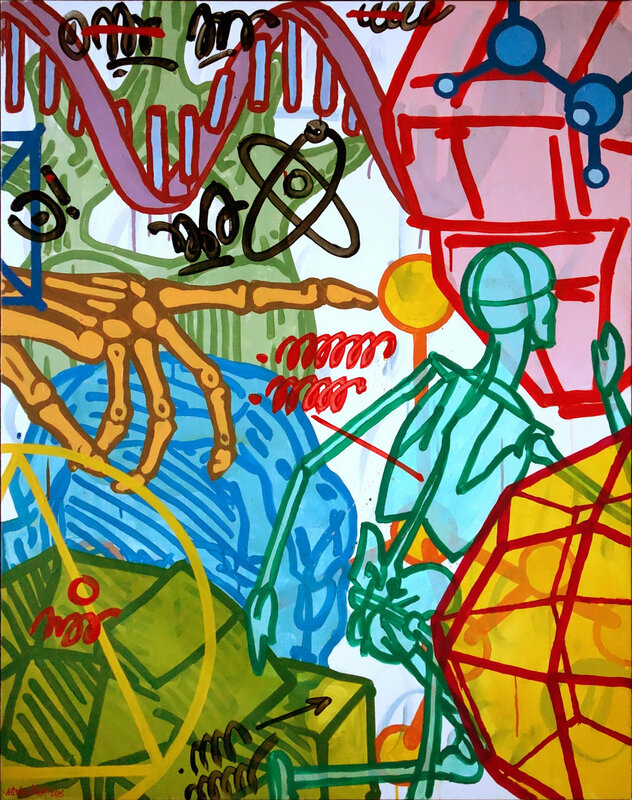 In 2008 he was nominated and shortlisted for the Kandinsky Prize. Misha is an acting supporter of illegal graffiti. Mural at "Mikser" ,2014 ,festival. Belgrade, Serbia. "Not a museum" 2014 group show, Manifesta 10, parallel program, St.Petersburg. "A reason for Peace. Cacus Pasis" , 2014 , Street Art Museum, Manifesta 10, St.P. "WARNING" ,2014 , Solo exhibition, Lazarides Art Gallery, London. 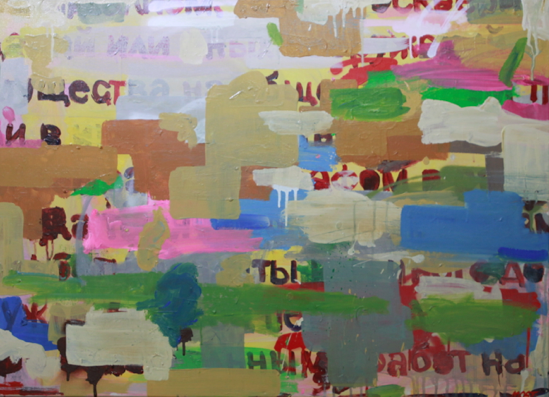 "Visual library", 2014 ,ArtBat biennale, Alma-Ty, Kazakhstan. "Artmossphere", 2014 , Street Art Biennale, Art play, Moscow. "Russian Performance: A Cartography of its History" , 2014 , Garage Museum of Contemporary Art, Moscow. "Heavy Metal" , 2013, curated by Regina gallery. Winzavod. 5th Moscow Biennale, special project.